The Exorcist has assumed a new form on Fox, where Jeremy Slater’s small-screen iteration was recently granted a season-two renewal. 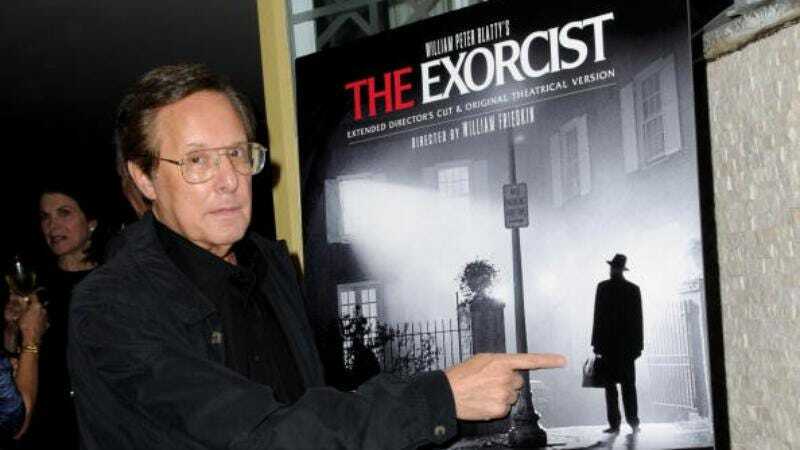 But William Friedkin, the director of the feature adaptation of William Peter Blatty’s book, has far from washed his hands of the whole thing. In fact, he recently helmed a documentary about exorcism titled The Devil And Father Amorth, in which he visited with a Vatican-approved exorcist. Friedkin shot Father Gabriel Amorth’s demon-battling work for the project, and now that film could soon make its way to a greater audience. Deadline reports that The Devil and Father Amorth has been picked up by LD Entertainment, who is eyeing a release with co-producers ICM Partners. Of the news, Friedkin said, “I never stopped being fascinated by the nature of good and evil and the possibility of demonic possession. The opportunity for me to witness and film an actual exorcism came about more than four decades after I made The Exorcist completely by accident.” There’s currently no word on a release date or formal distribution deal.